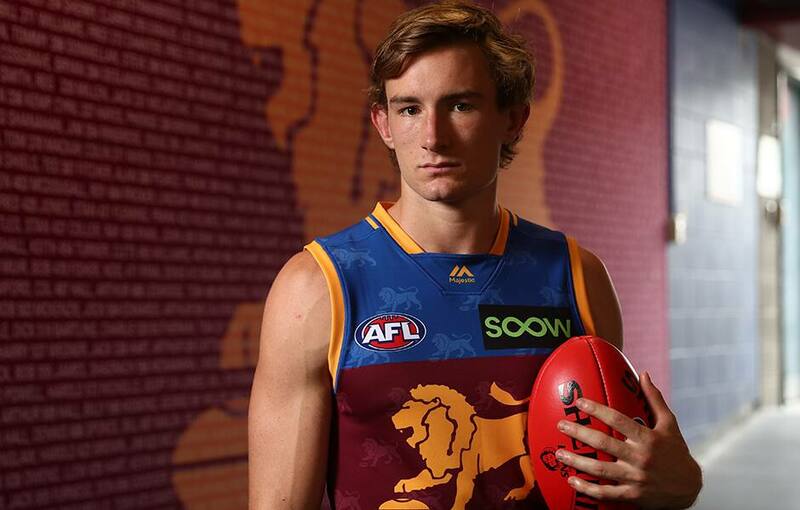 The Brisbane Lions are toying with the idea of using star defender Harris Andrews as a forward, continuing a pre-season experiment on Friday afternoon at its intraclub match. Andrews made the 40-man All Australian squad as a fullback last season but played all four quarters deep in attack at Burpengary's Moreton Bay Central Sports Complex. He kicked two goals and looked lively as a marking option that could take pressure off young spearhead Eric Hipwood. It's still unclear how serious coach Chris Fagan is about using the 22-year-old as a forward, with the Lions' key defensive stocks a little undermanned at the moment. Darcy Gardiner and Western Bulldogs recruit Marcus Adams are both overcoming knee problems and racing the clock to be available for the opening round against West Coast. That left versatile Josh Walker as the lone key defender in the 'best against the rest' intraclub hitout. Andrews partnered Hipwood and back-up ruckman Oscar McInerney in a towering forward line that also featured dangerous trio Cam Rayner, Charlie Cameron and Lincoln McCarthy. Cameron looked in terrific form after foot surgery derailed his 2018. He kicked three goals, gave off another to Hugh McCluggage and regularly left struggling opponents in his wake. While Andrews was intriguing and Cameron sharp, the real star was Fremantle recruit Lachie Neale. The prolific midfielder had a mountain of disposals in the first half, winning clearances, spreading from contests and getting back to help his defenders. Neale appears to have struck up a good chemistry with former Gold Coast clearance king Jarryd Lyons and Dayne Zorko. Young ruckman Archie Smith was also impressive against Stefan Martin, who was being used in the ruck for the first time this pre-season. One sour note was a right ankle injury to Allen Christensen. The clever utility landed awkwardly in an early contest with Dan McStay and did not return, although he was walking around unassisted shortly after with the ankle strapped. Brisbane will play Gold Coast in a practice match on February 23 before commencing its JLT Community Series matches a week later.